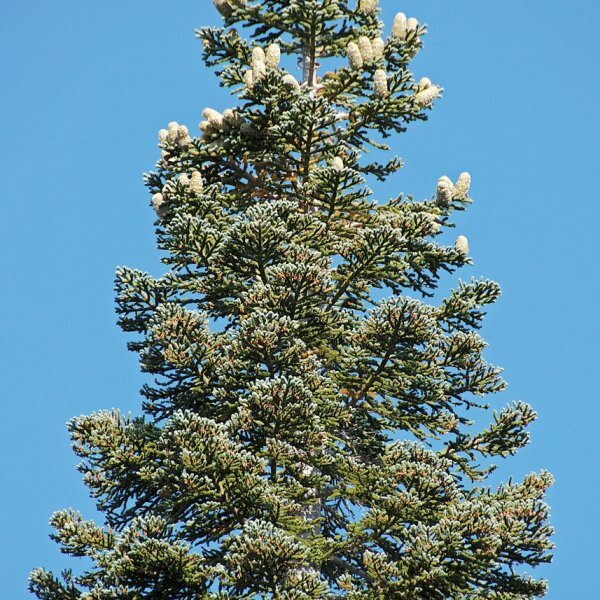 It is a large evergreen tree typically up to 40-60 m tall and 2 m trunk diameter, rarely to 76 m tall and 3 m diameter, with a narrow conic crown. Hardy to zone 6. 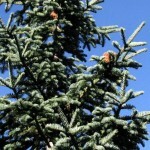 The bark on young trees is smooth, grey, and with resin blisters, becoming orange-red, rough and fissured on old trees. 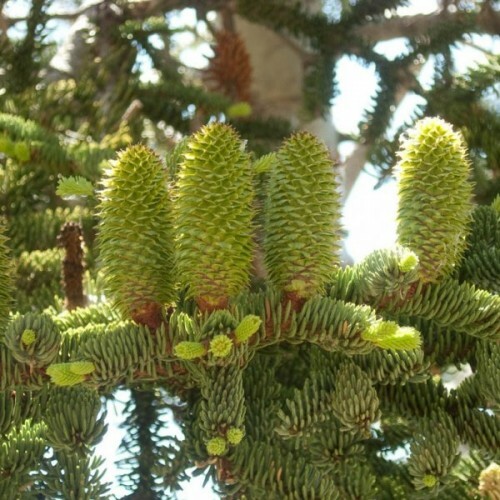 The leaves are needle-like, 2-3.5 cm long, glaucous blue-green above and below with strong stomatal bands, and an acute tip. 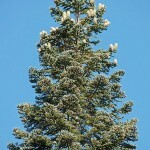 It is a high altitude tree, typically occurring at 1,400-2,700 m altitude, though only rarely reaching tree line. 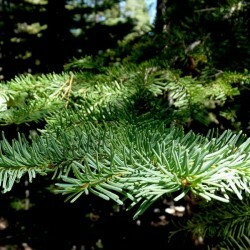 The name Red Fir derives from the bark color of old trees.